I got a message the other day – one of Maria’s friends wanting me to take she and her sisters family out on a little ocean excursion. 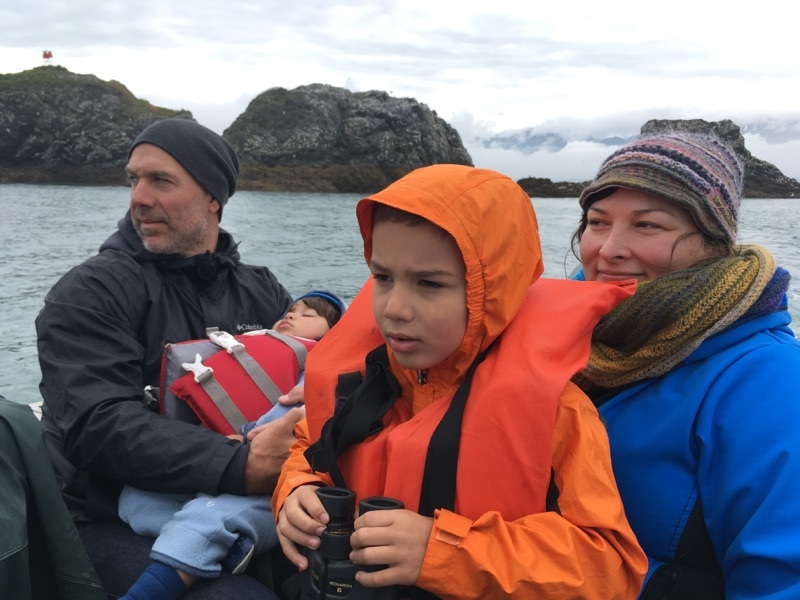 The family has two kids aged 4 and 1, and were hoping to get them out to see some wildlife up close and personal. 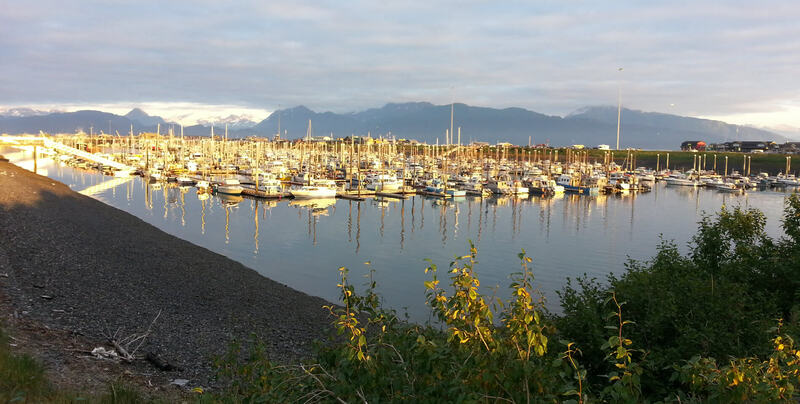 So we took a short three hour tour from the harbor, circling Gull Island, several of the smaller islands in Eldred Passage, and made our way back into Tutka Bay. This family had fun being out on the ocean for a few hours (brave parents going out with the little ones). 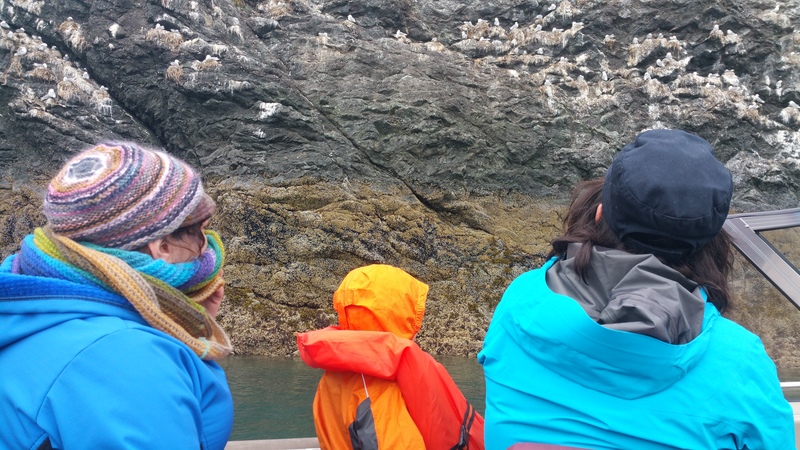 The rain held off, and we were able to get close to puffins, sea otters, harbor seals, eagles, and lots of other birds. 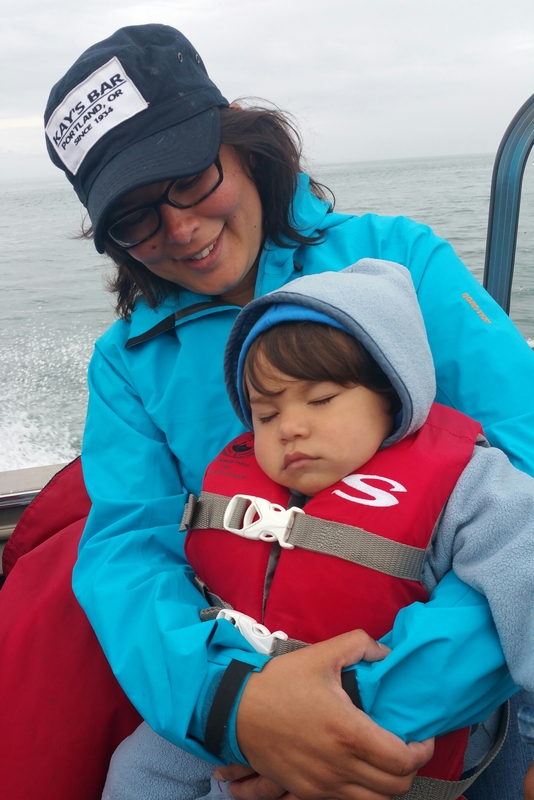 The little one is certainly the youngest in my boat so far this year. 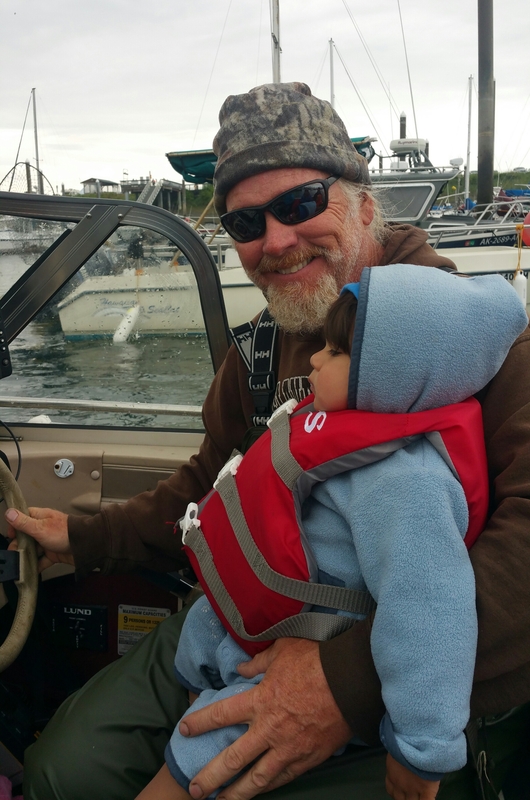 Well, I like little kids, and really enjoy having them in my boat – showing them the sights and the critters, and seeing their excitement as they witness brand new things for the very first time. As you can see by the pictures, everyone in the boat was comfortable and had a good time. For those interested, my trips are tailor-made to your desires and expectations; there is no agenda other than what you want to do, what you want to see, when you want to go out, and when you want to come back. 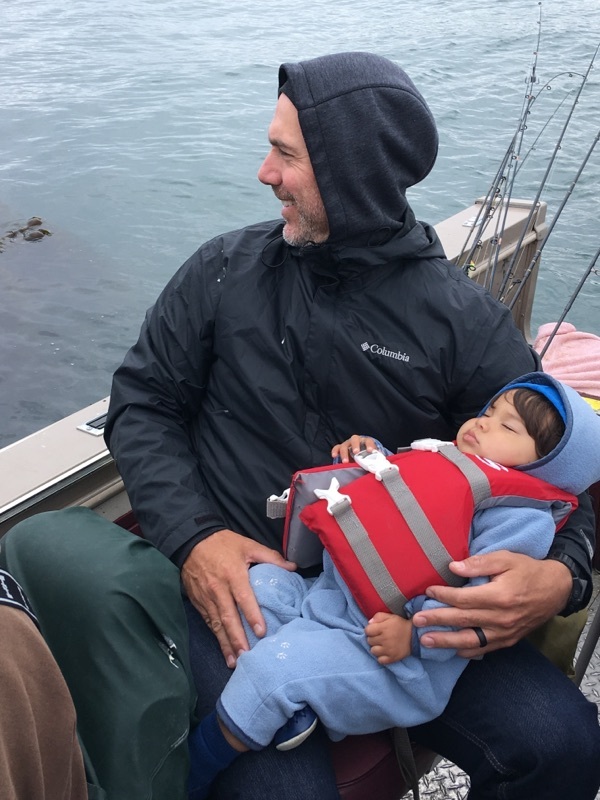 We did return to the harbor a little early because a certain little guy woke up from his nap and wanted lunch, and perhaps to run around a little. Thanks to this family for going out with me! 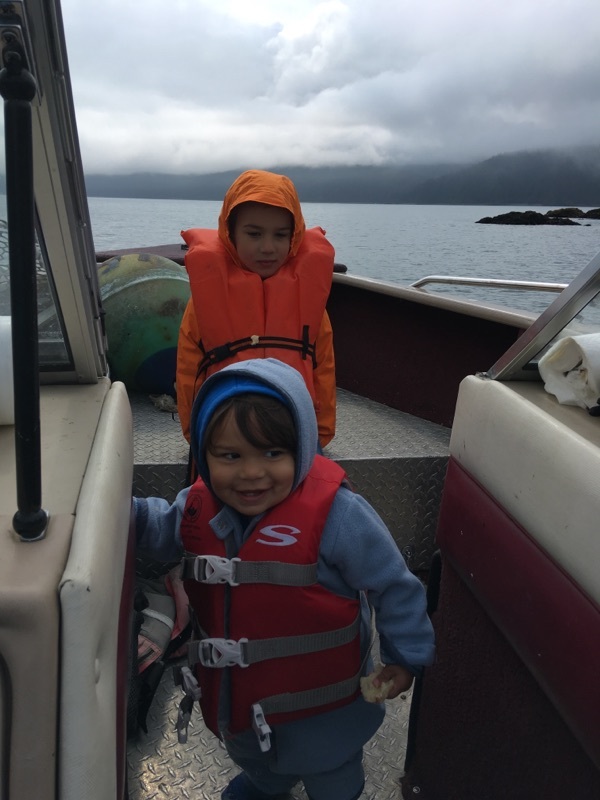 I hope we can do it again someday – maybe catch some fish when the boys are big enough to have a wrestling match with a salmon.